Who can resist small dog puppies? Let’s face it, all puppies are adorable, lovable, and delightful. We are, after all a little biased when it comes to that cute little puppy that is going to stay small forever. Once we get over the too cute phase, we realize we have a living being that is entirely dependent on our care, our love, and our protection. It is not a human child, but it comes close, so we must learn all we can to assure that our puppy grows up to be a well mannered, well balanced, happy, healthy adult. Where do we start? Small Dog Adoptions: Are they right for you? If you are still unsure about the breed of your dreams, our A to Z Small Dog List is a good place to begin. 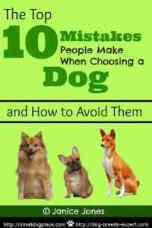 It has links to many small dog breed pages. If you are more interested in a hybrid/designer dog, there are so many to choose from. If you have narrowed down your search, now you want to assure that you have chosen a healthy puppy that is also psychologically sound. No puppy is going to be utterly perfect, but there are simple methods you can use to pick out the perfect puppy—the pick of the litter so to speak. After you have read about how to evaluate that perfect puppy for health, it’s time to look at his behavior. Simple puppy temperament testing can tell you plenty about his personality and if that particular personality will fit your life style. Many people are interested in puppy development. Do they go through predictable stages similar to human babies? Yes, they do. Much research has been done in this area, and if you are interested in how a puppy develops from birth to maturity, you will want to browse the stages of puppy development. While you become an expert on puppy development, you might also be interested in puppy behavior and the language of small dog puppies. There barks, yelps, and howls are just one way they communicate. The more common way that they “talk” to you is through their body language. For the studious puppy parent, you might want to discover your puppy’s senses. What does the dog see? What does he taste? Just how acute is his sense of smell? The more you know about dogs, the better puppy parent you will be. While we’re on the subject of puppy psychology, everyone agrees that a certain amount and type of socialization is critical in the early weeks for a well-adjusted puppy. If you are still in the decision making phase, be sure to choose a breeder who will socialize your puppy properly from the day he is born. Oh, and just in case you have some puppy behavior problems, you'll want to check out this page. No dog is perfect, but you can achieve some amazing things if you work at it. The puppy stage is unbelievably cute, but it is also considerable work. To make your job just a tiny bit easier, you will want to puppy proof your house because these little guys are… well… Curious beyond words. Everything in your home from a foot off the floor could be subjected to the greatest scrutiny, and possible destruction by that cute little puppy. While you are inspecting your home for possible hazards, you might also want to start a puppy first aid kit. Things happen when you least expect it, so a little advanced preparation never hurts. If you are purchasing a dog from a breeder, you should be able to see the parents, or at least the mother. Ask the breeder how big the parents and grandparents are. Sometimes size skips a generation and it is helpful to know what to expect. If you are adopting a puppy and don't know the background, it is also helpful to look at breed standards. If you think your puppy is a hybrid of two or more breeds, read the standards for each breed. These standards are available on the American Kennel Club Site. Another way to get an estimate of the adult size of your puppy is with an online app such as the one at The Goody Pet. Enter your dog's breed, age or date of birth and choose pounds or kilograms and get a rough estimate of the adult size. The fun and anticipation escalate when you do that first haul at the neighborhood pet supply store. You will want to prepare, and a few chosen items will make those first few days much easier on you. What puppy supplies will you need? Be sure to check our our recommendations and go easy at first. There will always be time to return and shop with your puppy in tow. Do you have a name picked out? If not, we have page after page of puppy names from which to choose. One name might spark the imagination, and perhaps you will come up with a truly unique and different name for your little one. We hope you will share it with the other readers on this site. If this is your first puppy, or if you have not had a puppy in awhile, you will want to brush up on health concerns, grooming, training and safety issues. 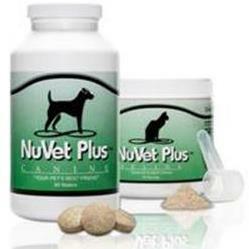 Do you know what to feed your puppy, and how often? Do you know what vaccinations and worming he will need? How about Puppy Teething Symptoms? Can You identify? Do you know how to bathe or groom him? How about dental care? Know how to brush his teeth? Are you worried about weird behaviors such as a puppy eating his own feces? What is the best way to housebreak your puppy? Where do you start with training? Curious why your puppy is sneezing? 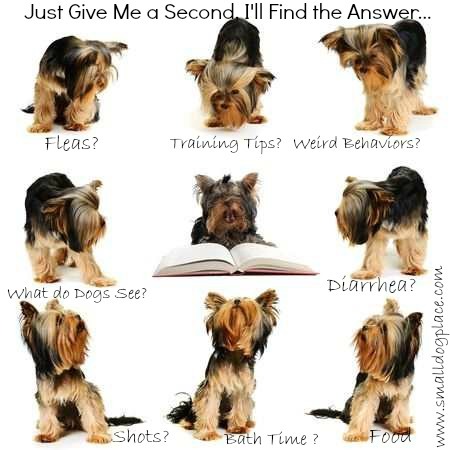 We have answers right here at Small Dog Place!